The Bau Ceramic complete basin package is the perfect upgrade for any contemporary bathroom. The package consists of wall hung basin, tap and waste, tubular p-trap, shut-off valves and fixing kit. 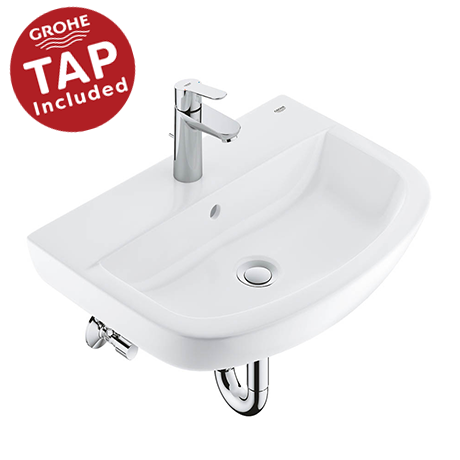 The basin is manufactured from high grade vitreous china and finished in Alpine White. The stylish Start Edge basin tap is supplied with an integrated pop-up waste and features GROHE EcoJoy® water saving function.